The recent Corporate Wellness Symposium in Austin educated employers about the effects of diabetes on Austin businesses. If you have diabetes and are aware of its effects, it is likely in the back of your mind that your risk of needing amputation in the future may be higher than normal. It’s important, to move that thought to the forefront. If you are aware of the problem and are proactive, there are ways you can prevent amputations from happening to you. Foot ulcers are the most common reason for amputation. Because your immune response is impaired, infection can easily set in and the situation can turn serious fast. Know the signs of infection (swelling, redness, soreness, and drainage) and monitor your wounds closely with the help of a podiatrist. Antibiotics will be prescribed—make sure you take them! 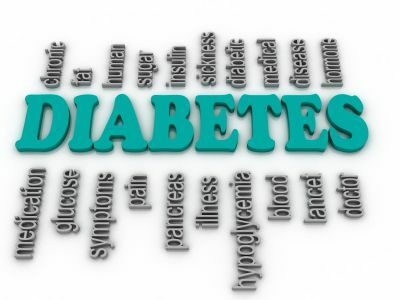 Also, have the doctor determine if you have acquired peripheral vascular disease as a result of your diabetes. Untreated, this can inhibit your blood flow and your body’s healing process. In addition, you should remove any points of pressure away from a wound. This is called offloading and can be accomplished by using crutches, a wheelchair, or remaining in bed. Keeping weight off of the affected area is an important step in the healing process, as well as the prevention of recurrence. Debridement is also vital to helping an ulcer heal. This process removes all dead tissues that may inhibit or delay improvement in the wound’s condition. Finally, you need closure. The longer an ulcer remains an open wound, the greater the risk for infection. Once it is treated, the doctor will determine what closure technique is right for you. If you discover an ulcer on your foot, following these steps carefully will reduce your risk of complications. For more information on preventing amputations, visit the experts at Austin Foot and Ankle Specialists in Austin TX. Make an appointment by calling (512) 328-8900. Dr. Craig H. Thomajan DPM, FACFAS and Dr. Shine John DPM, FACFAS are here to help you with your diabetic foot care. Most people who have searched this content have also found Will PAD lead to amputation? helpful.